Hello and welcome to coverage of the HH Sheikha Fatima Bint Mubarak Darley Awards which take place at the Dolby Theatre in Hollywood at 20:30 PDT time. The event is set to be well attended by Arabian nations across the world and we'll be bringing you all the news from the awards as it happens on Friday night. Make sure to join us on Friday as we bring you all the news prior to the awards kicking off and who takes home the big prizes as they happen at the Dolby Theatre. 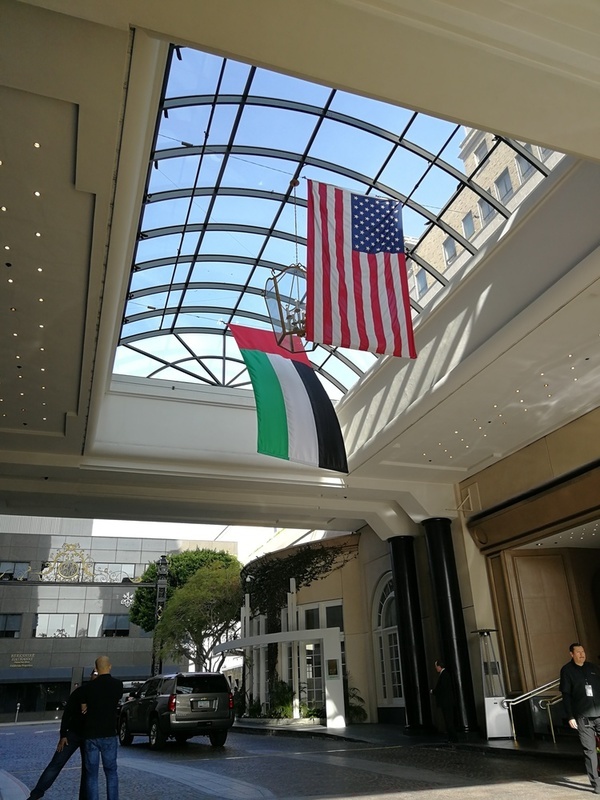 For those staying at the Beverly Wilshire hotel in Beverly Hills, they are greeted by the national flag of the United Arab Emirates and the United States stars and stripes. 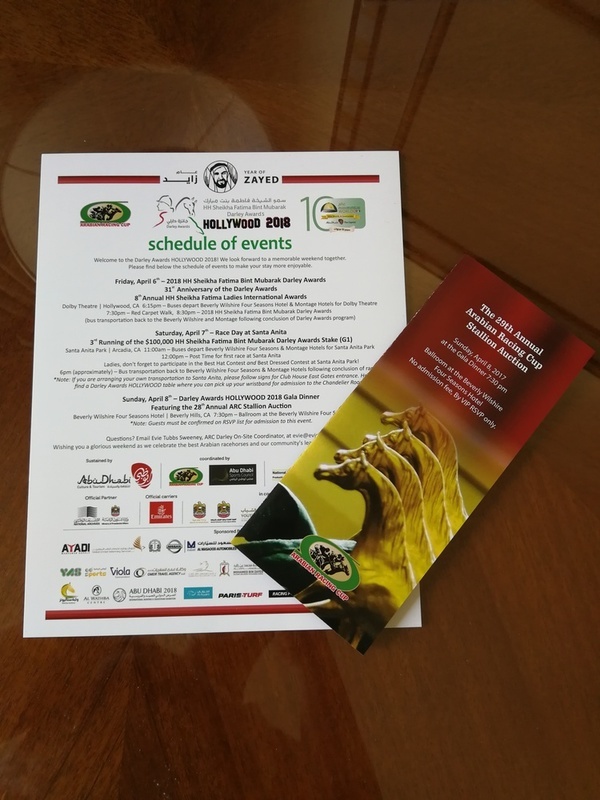 Upon checking in, every guest is given a rundown of the events being held over the next few days and all eyes will be turned to tonight's Darley Awards at the Dolby Theatre. The red carpet takes place at 19:30pm with the awards starting an hour later. Stay tuned for coverage for all that happens tonight on this live blog!